Amenemhat IV's short and poorly documented reign as penultimate Pharaoh of the Twelfth Dynasty presents an interesting subject for Egyptological research, as it marks a crucial moment in Egyptian history. Following the crisis of the First Intermediate Period and the great work of unification and innovation undertaken by the rulers of the Twelfth Dynasty, Egypt once again achieved great power and prosperity. However, with the Thirteenth Dynasty, the country’s fate changed again, leading to the Second Intermediate Period, a phase that would shake the foundations of Egyptian society, and which paved the way to the New Kingdom. The purpose of this book is a comprehensive and integrated analysis of Amenemhat IV's activity in the context of this historical period. 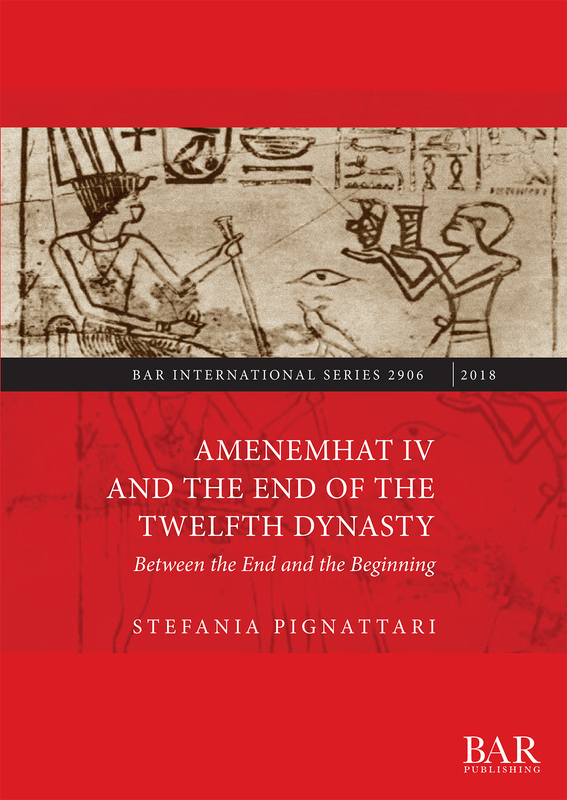 In defining Amenemhat IV's role, and establishing whether his reign represented an element of continuity or of fracture, the author seeks to clarify the causes and mechanisms that led to the end of the Twelfth Dynasty. Stefania Pignattari is an archaeologist and an independent researcher. She studied at Bologna University and holds a PhD in Egyptology from Pisa University.